I. what is non-criminal record. "No criminal record certificate", in China, is issued by the public security bureau to prove that residents "no criminal facts" a certificate, can be used to go out, job search, exit. 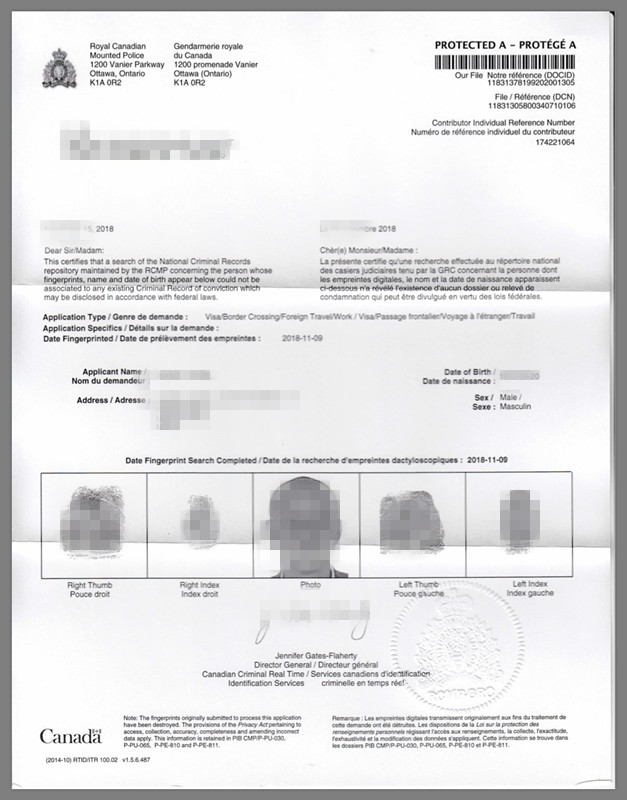 In foreign countries, there is also a similar "certificate of no criminal record" issued by the relevant local police station, which is "Non-Criminal Record" in English. when a foreigner applies for a work visa and a foreigner's permanent residence in China, Government departments will require applicants to provide proof of no criminal record. What is a valid certificate of no criminal record that can be used to apply for a visa in the country? The answer is notarization and embassy certification. after no criminal record certificate is issued, in addition to notarization in the local official department, it must also be certified by the Chinese embassy in order to be effective. II. why there is a need for proof of no criminal record. When a foreigner comes to work and live in China, he or she needs to apply for a lot of relevant documents and visas in order to stay legally, such as when applying for a work permit or permanent residence of a foreigner in the country, or when applying for a marriage license in the country, The relevant departments (such as the Labor Bureau, the Public Security Bureau or the Foreign Marriage Registry) will require the applicant to provide proof of no criminal record and be certified by the Chinese Embassy in the local area. III. how to apply for proof of no criminal record and embassy certification. No criminal record proves that, although the applicant authorities are different in each country, they are issued by the local police service. We will reorganize a simple and easy-to-understand process for friends who come to China to stay or need to know about overseas applications for proof of no criminal record and embassy certification. Apply directly to the relevant local police department, Such as Canada (Royal Canadian Police RCMP and Canadian Local Police Service), United Kingdom (British Police Association Criminal Records Office and British Government Criminal Records Office), Australia (Australian Federal Police Service), United States. (FBI). Notarization of documents at a local law firm or notary office after the success of the application for proof of no criminal record. After the notarization is completed, the first level certification shall be carried out in the relevant departments of the local government. After the first level of certification, the second level of certification is carried out in the diplomatic service of the country. After the second level of certification, the third level of certification can be carried out at the Chinese Embassy in the local area. After the completion of the three-level certification, no criminal record proof is valid, and the Chinese work visa or related matters can be processed. The above process is a universal process, the specific situation is based on the actual process in different countries. If the purpose of the applicant to come to China is to obtain employment, he or she needs to apply for a work permit. when notarization of no criminal record certification and embassy certification are carried out, it is recommended that the academic certificate certification be carried out at the same time, as the certification process is the same. It can avoid the waste of time and inconvenience caused by repeated processes. IV. 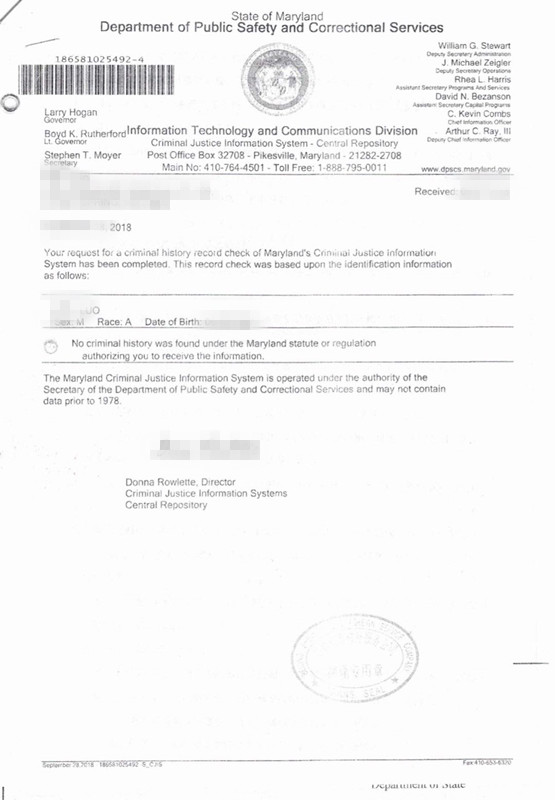 sample of proof of no criminal record. our company established in 2011, we pay more attention on providing high quality service to our customers. We are a human resources service company mainly for all kinds of enterprises and institutions to provide business, finance and taxation, human resources and other one-stop comprehensive solutions. Our superior team was made up of a group of energetic young people, which all had working background in top servicing companies or consulting companies for many years domestically or overseas. We are the one stop service terminal for company's social security service, payroll, tax, HR. visa & "green card" application. We have abundant theoretical knowledge and practical experiences specialized in the field of HR & foreign related business services. 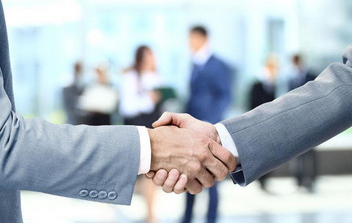 With the strong strength of professional consulting team, enriching government cooperation resources and high quality service, we integrate the resource advantages of HR enterprises in China to build a nationwide interconnected human resources service platform. We have a strong bilingual copywriting team and tailor-made application scheme for foreigners who apply for the work permit or Chinese "green card" to Improve the probability of passing rate. We are in the pursuit of striving for excellence and non-stop innovation to become the most valuable partner of the enterprise.